Not if you’re selling to the federal government. 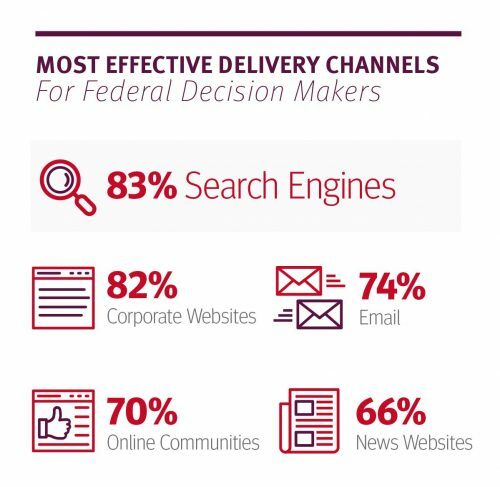 The 2017 Federal Content Market Review asked federal decision makers what content delivery channels are most effective. Almost three quarters said email (just behind corporate websites and search engines). When we talk to our customers about their marketing strategies, they’re often reluctant to do an email campaign because they don’t want to annoy their list. The data shows, and experts agree, if the campaign provides information that will help your customers, then it won’t annoy them. All 26 tips provide wonderful guidance on how to effectively use email marketing. And if you need some inspiration, Hubspot compiled some great examples of email marketing campaigns. View them here.